Employers are beginning to discover the powerful role analytics can play in transforming recruiting, but aren’t sure how to harness it. Recruiters know that locating the best candidates is a time-consuming process that can be likened to finding a needle in a haystack. But what if they knew which haystacks were more likely to be hiding that needle. How much simpler and effective might their jobs be? Nowadays, recruiting systems don’t just collect and track applicants, CVs and interview summaries. They also keep mounds of data about the individual applicants and recruiting processes. Yet while these solutions have long provided information about metrics such time to fill, cost per hire and the number of candidates from a given recruitment source, they are only now beginning to address, in a meaningful way, the best sources of top talent. At the heart of many of these technologies is the ability to use data to compare candidate attributes with those of successful employees. This, in turn, gives HR and hiring managers a leg up when evaluating whether someone is likely to be successful. Despite the obvious benefits of uncovering the best sources of top talent, employers interested in going down this path must also wrestle with an assortment of challenges involving workflow, cost, culture and diversity. Still, experts in the field agree that the use of analytics in narrowing searches to the best sources of hires is going to become a lot more common in the months and years ahead. Nik Shah, a partner and the people analytics leader at PricewaterhouseCoopers in Washington, is bullish on the idea of using analytics in this way. Being able to reduce sources to those that yield the best results can ameliorate the problem of having too many candidates to cull through and, thereby, less time to spend on the best, he says. In working with clients, Shah says, PwC starts by making hypotheses about the best employees and the best sources for finding them. It’s a proprietary process, but generally looks at where the best employees — as defined by retention rates, 360 feedback, manager interviews and other factors — are found. Those hypotheses are then tested using a modeling system. Shah says that often the hypotheses are tweaked many times before they are used in an actual recruiting situation. Even after going live, he adds, they frequently have to be further adjusted. “It’s very iterative and can rarely be accomplished out of a box,” he says. One software maker that’s attempting to tackle this issue is San Jose, Calif.-based Visier, which offers a solution that allows users to query databases using natural language to, among other things, arrive at the best sources. Visier Chief Strategy Officer Dave Weisbeck says the most daunting challenge is to understand what makes a great hire. Yes, he says, there are some obvious and easily arrived at data points such as length of time at a company. But other factors, such as engagement or performance, are much more difficult to measure, he says. The Visier software permits HR analytics teams to cull the data to identify the qualities a company needs. From there, they can identify the sources that are best able to find individuals with those qualities. Ji-A Min isn’t surprised to see companies deploy a wide range of methods for identifying such sources, since the practice is still in the early stages. Min, head data scientist at Toronto-based recruiting software maker Ideal, contends there’s “no one-size-fits-all” answer to the problem of identifying the best sources of hire. Often, she says, strategies are going to differ based on the perceived talent problem a company is trying to solve. It’s easy for unexpected errors to sometimes creep into this type of sourcing analysis, says Al Adamsen, executive director of the Talent Strategy Institute in Santa Cruz, Calif. For example, he asks, if most high-performing employees come from one set of sources, is it because those sources yield better employees or is it because recruiters have historically concentrated on those sources? Of course, the road from being an interested person to a candidate to an employee is not always straightforward. Mary Grace Hennessy, chief product officer at SmashFly Technologies, a Concord, Mass.-based recruiting software provider, points out that the candidate experience is comprised of multiple stages — and that employers need to maintain their brands at each and every interaction. Each of these touch points — the job fair, visit to the company’s job site, ad in trade journals, outreach from current employees or something else — should be looked at both in terms of efficiency and how well it moved the individual on to other interactions with the company. 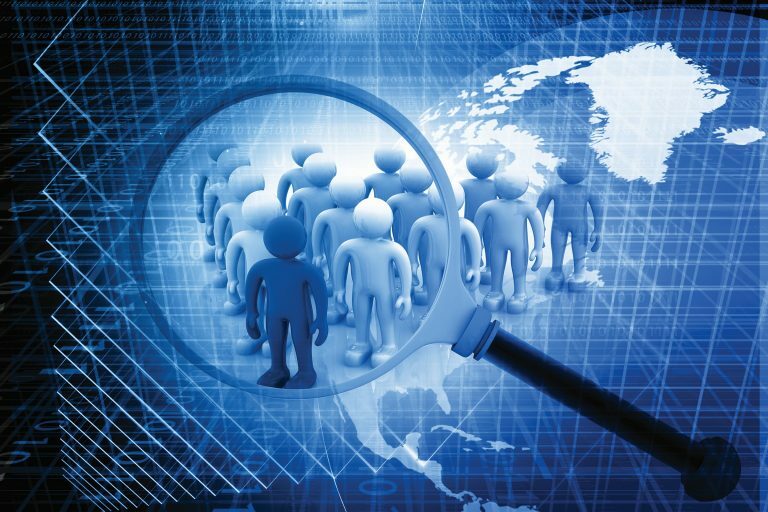 Shifting an organization’s focus from hiring efficiency to hiring effectiveness can often be challenging, says Shanil Kaderali, executive vice president of global talent solutions at Pierpoint International, a San Jose, Calif.-based global recruitment process outsourcing firm. Because of the costs and resources involved and the changes in workflows that are needed, he says, it often requires a bit of selling to convince HR and upper management to make the necessary investment. Companies that are used to evaluating their recruiting efforts by cost per hire or time to hire may find those metrics taking a hit when the focus becomes best hires or best sources of hires, he says. “If you’re going after the candidates from the best schools or who have the best experience, there’s going to be a lot of competition, and it will take longer and cost more to court and hire these people,” he says. So employers, he says, should be prepared to see the cost per hire and time to hire increase, at least initially. To sell management on making the investment, Kaderali says he gathers data on how better hires can save companies money in the long run. He says he was able to show a 10-percent increase in retention to one client he worked with that had a 40-percent annual turnover rate, translating into $20 million in cost savings. Kaderali says he also, on occasion, has to overcome the “old-boy” system of hiring — whereby managers prefer to hire candidates from their alma mater — as he makes the case for better applying analytics to the process. Then there is the “if-it-ain’t-broke-don’t-fix-it” rule. Successful recruiters, he says, have found ways of working — and sources to recruit from — that fit their personalities and competencies. HR leaders and recruiters also need to pay close attention to the impact on diversity, experts advise. When companies seek to replicate the characteristics of their top performers and attempt to identify the sources of these hires, Kaderali says, they sometimes might mistakenly overlook factors other than performance that can result in a more balanced workforce. Most business leaders acknowledge the competitive advantage diversity delivers to the organizations. But employers, Kaderali says, need to be aware of the potential impact a reduced number of sources could have on diversity levels and creating a static corporate culture. Still, most experts agree, there’s no denying the benefits of getting a better handle on where the best talent is coming from. At this juncture, they say, companies are just getting started when it comes to leveraging analytics to identify the best sources of top talent, but that could soon change.